Country Dance and Song Society (CDSS) is a 501 (c)(3) nonprofit; all gifts are tax deductible to the extent allowed by law. You may request a copy of our most recent financial report from Country Dance and Song Society, 116 Pleasant Street, Suite 345, Easthampton, MA 01027. For users that register on the CDSS website (in order to purchase products or services, donate, become a member, or register for camp), we store the personal information they provide in their user profile. 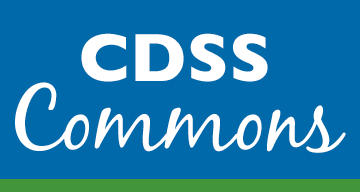 All users can see, edit, or delete their personal information at any time (except they cannot change their username - email support@cdss.org and we will change it for you). Website administrators can also see and edit that information (except for passwords). We do not solicit personal information from children on our website. We do, however, collect ages for children who are attending camp for housing purposes and class assignment; we also collect a child’s birthdate and information about guardianship in our camp waiver form. This information is only used within CDSS. We do not collect information such as your name, email address, mailing address, and phone numbers without your consent—you must opt-in when providing your information, and if you set up an account, buy products or services or fill out a form on the website, you are opting in. To opt out of this data collection completely, please do not fill out any forms while visiting our website. Also see What Rights You Have Over Your Data/Opting Out. We do not share this information with outside parties except to the extent necessary to complete that transaction. Country Dance and Song Society will protect any personal financial information that you share with us. If you make a purchase on cdss.org, we will use your credit card number only to process your payment. For reasons of security, credit card information is not stored on our Web server. In fact, for financial transactions made on our website, CDSS does not receive the credit card information at all. It is passed electronically directly from the forms/online store on the website to authorize.net, our payment gateway, in order to process the transaction. We will retain order information for our records, but this information is never shared with third parties. Transmissions over the internet are never 100% secure or error-free. As a result, we do not, and cannot, guarantee the security, accuracy, or completeness of the personal information we gather from you. However we have implemented reasonable procedures to protect the confidentiality, security, and integrity of the information we receive from you. We use return email addresses to answer the email we receive and to provide information on CDSS activities. Email addresses are not used for any other purpose and are not shared with outside parties. We use non-identifying and aggregate information to better design our website and to share with grant organizations. For example, we may tell a granter that X number of individuals visited a certain area on our website, but we would not disclose anything that could be used to identify those individuals. If you buy physical products (books and CDs), become an individual or group affiliate member, make donations, buy insurance, register for our camp programs, or fill out other forms on our website, your information will be stored indefinitely and can be shared with you and/or deleted upon request. If you are featured in an image on our website, it is considered to be indefinite use, however, you may request it be removed at any time. For storing data about our customers, CDSS is in the midst of a transition from a self-hosted platform called MemberMax to Salesforce, a secure, cloud-hosted service. For more information, see Salesforce’s privacy statements. If you have an account on this site, you can request to receive an exported file of the personal data we hold about you, including any data you have provided to us. You can also request that we erase any personal data we hold about you (aka “the right to be forgotten”) by emailing optout@cdss.org. This does not include any data we are obliged to keep for administrative, legal, or security purposes. You can help CDSS maintain the accuracy of your personal information by notifying us when you change your address, title, phone number, or e-mail address. Please include both your old and new contact information so that we can make the appropriate corrections. Contact us at address@cdss.org if you wish to update or delete your information or if you no longer wish to receive communications from the Country Dance and Song Society. You can also write to us at the address provided at the top of this page.